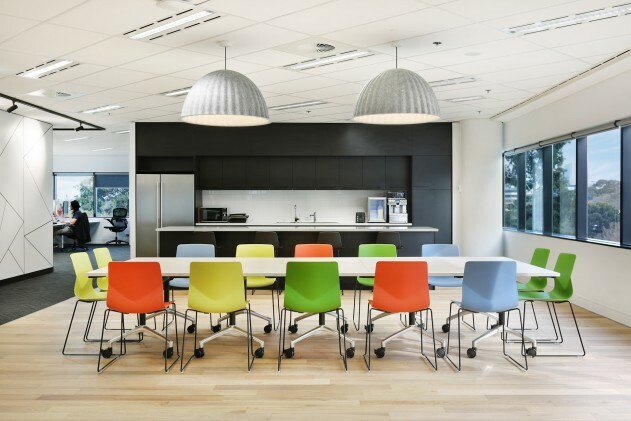 Linear were engaged by Liveperson in conjunction with Corporate Fitout Solutions to deliver an agile workplace developed around the principles of activity based working and collaboration. 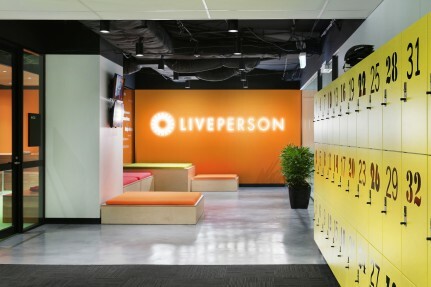 Liveperson wanted their new workplace to reinforce their culture as young, casual and energized, the space was to be come a Collaborative Hub that brought their people back into the workplace. Key to success of the space was creating a variety of different spaces to work, centred around teaming and collaboration both casual and formal. An arena space provides a stepped platform environment to brainstorm and gather in groups. Other spaces are focused around smaller gatherings and the individual workspace. Being a global organisation, it was important for the Melbourne team to bring local references to their space and the design language evolved around Melbourne Icons and the strength of colour.